Clink! 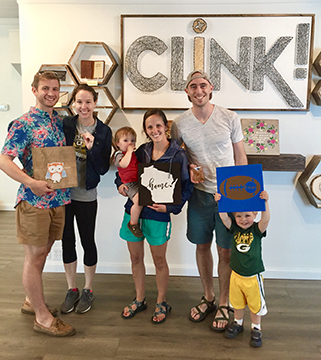 is a do-it-yourself craft studio offering a menu of wood, leather, and home decor projects. Our goal is to bring people together, inspire creativity, and foster continuous learning. New to wood burning? Ever tried saddle-stitching? Or maybe youve poured your own candles before only to find that they dont have any hot throw. Didnt know hot throw was a term? Come learn with us! Our projects are functional, customizable, and include quality materials and step-by-step instructions. 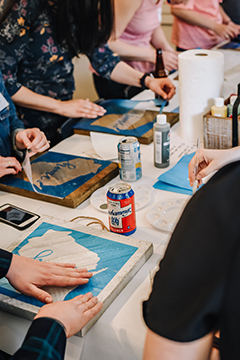 Weve done the research, sourcing, and prep work for you - just grab some friends and join us for a crafternoon. 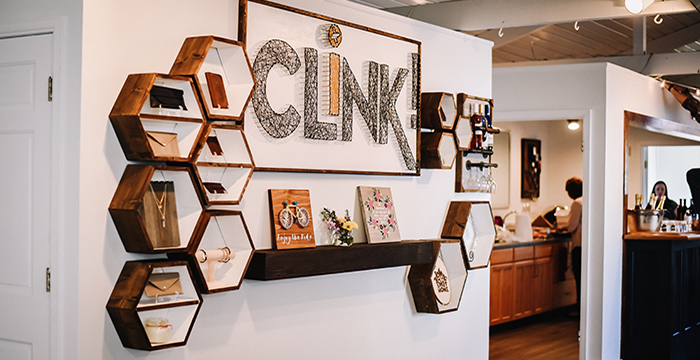 Our Studio is open-house so you can come in and craft anytime. We do encourage reservations and love to host private events in our lounge space. Not a crafty person? Not a problem. Coming for date night? Weve got the guys covered. Each project is self-paced and our team is on-hand to guide and answer questions. We cant wait to see what you make!